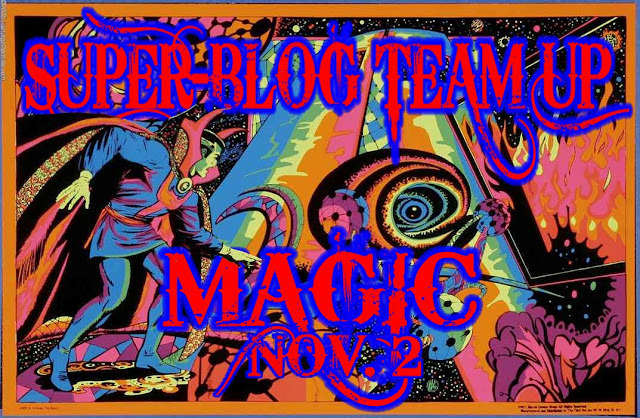 This is a special edition of DC in the 80s; as part of the Super-Blog Team Up collaboration, this article is meant to coincide with the November 2, 2016 release of Marvel Studios' new Dr Strange film. 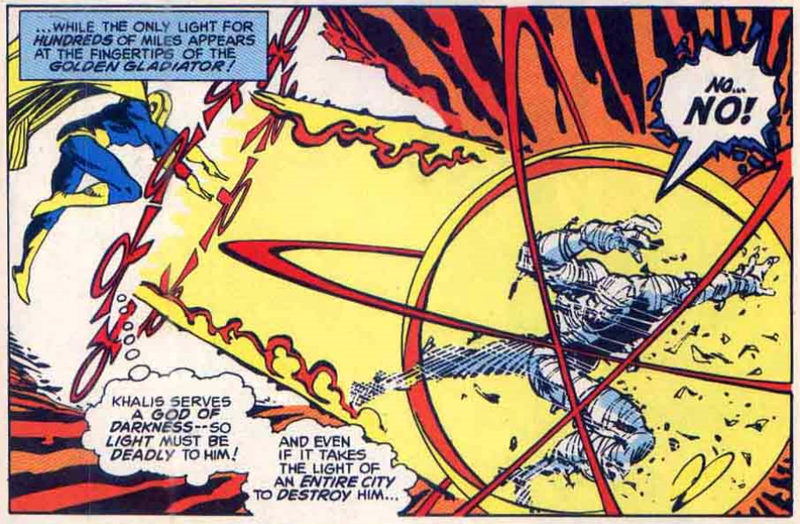 So we decided to write an article about Dr Strange's closest DC comics counterpart: Dr Fate. Off the top of my head, I can name you five different incarnations of Dr Fate: there's the Golden Age Kent Nelson that fought alongside the Justice Society of America (and was later featured prominently in Roy Thomas' All-Star Squadron) who wore half-a-helmet; there's the "full helmet" Kent Nelson version — who was introduced to me as a Super Powers action figure and would also be a member of Giffen and DeMatteis' 1987 Justice League; there's the hybrid Eric/Linda Strauss character that appeared in the late 80s and would have his/her own ongoing series that would last forty-odd issues; there's Hector Hall who was active (as Dr Fate) mainly during the late 90s and the early 2000s; and finally there's the New 52 version of Doctor Fate who is a new character altogether and I don't know anything about him. All this to say, 1985's The Immortal Doctor Fate v1 three-issue series is specifically focused on the "full helmet" Kent Nelson version and reprints his (arguably) most groundbreaking solo stories. The Immortal Doctor Fate v1 #1 reprints 1978's DC Special Series #10 origin of Doctor Fate (written by Paul Levitz and illustrated by Joe Staton/Michael Netzer), a Golden Age Gardner Fox/Howard Sherman story from 1940's More Fun Comics #56, and the entire contents of 1975's 1st Issue Special #9 written by Martin Pasko and illustrated by Walter Simonson. 1975's 1st Issue Special #9 is essentially a jump-off point for a Bronze Age Dr Fate and re-introduces the reader to Dr Fate and Inza. [This re-introduction of Dr Fate was initially proposed by then-editor Gerry Conway, I learned in Back Issue #24, 2013.] 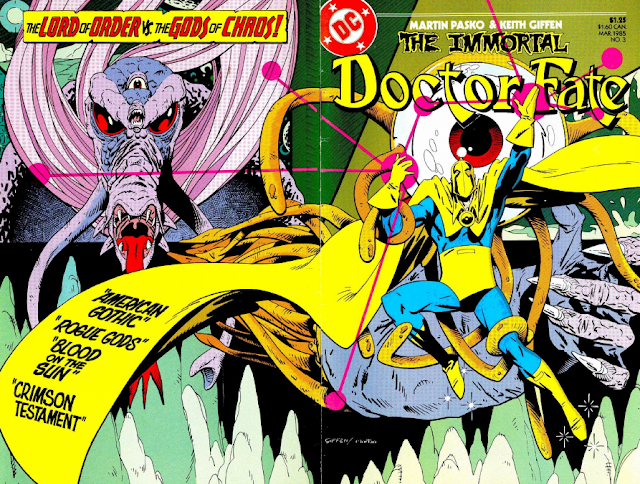 There are a few substantial reasons why this issue always makes the top of the lists as 'most important Dr Fate stories', but the most important reason is that writer Martin Pasko retcons Dr Fate as having a 'split personality' — Kent Nelson is a human host to the spirit of Nabu, and when the Helmet of Fate is placed on his head he goes into a trance-like state as Nabu takes over. (As you can imagine, this wreaks havoc on Nelson's relationship with his wife, Inza,) This would be the template of the character on which other writers would build upon throughout the rest of the late 70s and the remainder of the Bronze Age. Prior to this, Dr Fate had sporadically appeared in stories in which the Justice League of America meet up with the Earth-Two Justice Society of America (Dr Fate was a member), he was always 'one of the gang' and not much solo attention was given to him. Also of note, this issue of 1st Issue Special was some of Walt Simonson's earliest DC work (he had just completed the Archie Goodwin Manhunter back-ups in Detective Comics prior to this). 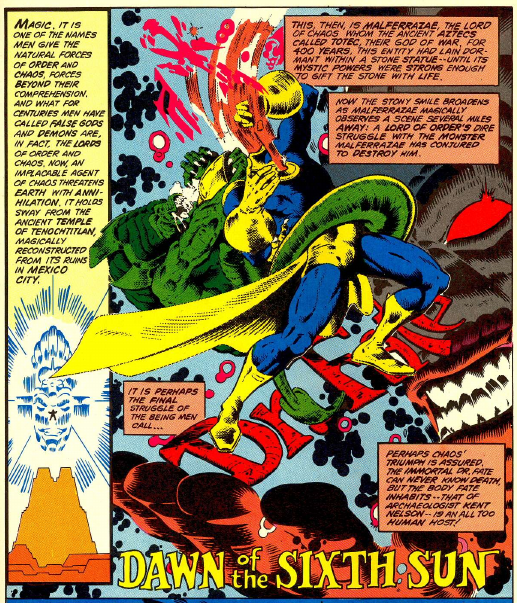 In a 2008 interview with John Siuntres, Simonson professes to be a big fan of Steve Ditko's Dr Strange, and that Ditko's art influenced how Dr Fate's 'graphic magic' appeared in the panels of the comic book. He also revealed that 2 pages of story needed to be cut due to a last-minute deadline change. Surprisingly, Dr Fate did NOT get an ongoing series after 1st Issue Special #9, but he WAS an active member of the All-Star Comics relaunch series (1976 - 1978) and received a solo back-up feature in Flash v1 in 1982. 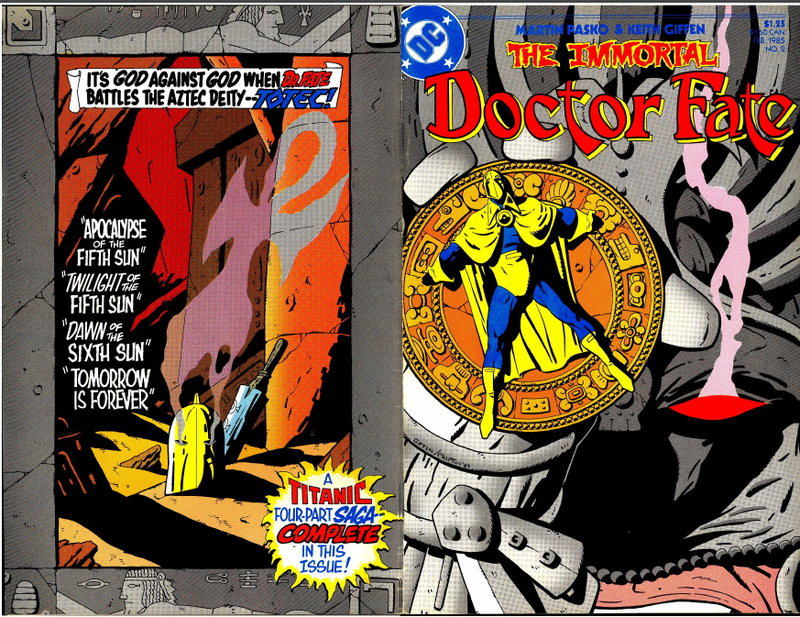 The Immortal Doctor Fate v1 issues #2 and #3 reprint all of the Dr Fate back-up features from Flash v1 #306 to #313 (1982). These were also written by Martin Pasko, but illustrated by Keith Giffen and inked by Larry Mahlstedt. The back-ups from #310 to #313 (which all appear in issue #3) were co-written by Steve Gerber (best known for his work on Marvel's Howard the Duck and Man-Thing comics). The Dr Fate Flash v1 back-ups were well-loved by fans and met with favorable response. 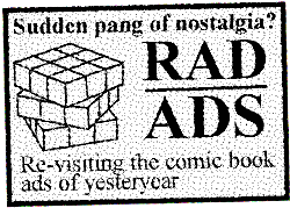 Readers were particularly fond of Pasko's exploration of Kent Nelson/Inza Nelson's unique relationship and Keith Giffen's artwork. 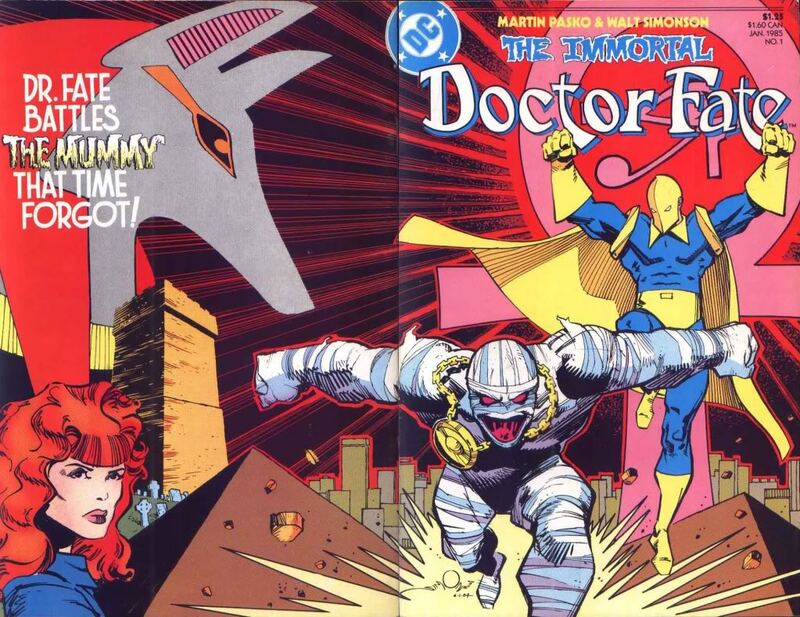 A few readers even pleaded that Giffen be given a Dr Fate ongoing series to pencil [wishes do come true: see 1987]. It was disclosed in a letter column (by DC editorial) that there was talk at some time of an ongoing Dr Fate series, but it was still up in the air (and suggested that reader response may inspire an ongoing series). Flash v1 was getting so much mail during the Dr Fate back-ups that, as of Flash v1 #314, DC editorial declared that they would start dedicating two pages to print reader letters. This only lasted a few issues. After the back-up features were concluded in Flash v1, it was announced that Dr Fate would be under the charge of Len Wein as he was now the new editor of Swamp Thing. 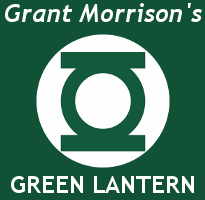 A new Creeper back-up feature was introduced in the pages of Flash v1 shortly thereafter. As a youth who didn't know very much about Dr Fate (other than he looked cool), I really wish I had owned this reprint series. As previously mentioned, I was only aware of Dr Fate thanks to his Super Powers action figure and a single issue of Giffen/DeMatteis' Justice League that I owned. [And now that I think about it, I don't ever recall Dr Fate appearing in the Hanna-Barbera cartoon.] I had a few issues of All-Star Squadron, but even as a 10-year-old I could tell that this was a different Dr Fate, I just couldn't explain why. I'll be the first to admit that my knowledge on Dr Fate is pretty weak, so anything that can accurately define his powers in a way that I can understand is greatly welcomed. As best as I can understand after reading this reprint series, Doctor Fate is a wizard who calls upon Egyptian deities to bring him powers. He'd yell something like "Amon-Ra, the Sun-God, fill my being with energy!" and suddenly he's able to fire solar flares or etc. I guess these would be considered spells (or maybe even prayers?). His spells seem to exhaust him, but I can't figure out if there's a 'physical connection' there. He's also armed with a few mystical talismans: the Amulet of Anubis, his Cloak of Destiny, his Helmet of Fate and the Crystal Orb of Nabu. His helmet is especially important, as he seems to be powerless without it and has to resort to punching and kicking his opponents (or relying on his 'wits') when he's not wearing it. Because Kent Nelson is full of Nabu's magic, he doesn't age (nor does his wife, Inza). He needs his wife, Inza, as an anchor to the real world (especially when he's flying around another in another magical dimension), so it seems like he keeps her confined in a doorless/windowless tower in Salem, Massachusetts. There's a lot of REALLY good Dr Fate material in this collection. I'm personally a little perplexed as to why they reprinted a Golden Age story (More Fun Comics #56), since the series seems to mainly be fixated on the Bronze Age revamp of Dr Fate. Even more vexing was that they chose to reprint his second appearance, not even his first. Dr Fate originally debuted as a flying, magical-based superhero who was somewhat invulnerable and could shoot lightning from his fingertips. In 1942, More Fun Comics became more oriented towards super-hero action, and the creative team decided to downplay Dr Fate's magical powers and play him up as physician who occasionally became a masked crime fighter that beat-up criminals (they also reduced his full helmet to half of a helmet). All things considered, this is a fantastic three-issue reprint series. It contains an excellent selection of stories that would normally be extremely tedious to track down (particularly the Flash v1 back-up features), and everything is vibrantly colored. Each issue is housed in a full-color wraparound cover [as seen in this article] by either Walt Simonson or Keith Giffen. Single issues of The Immortal Doctor Fate v1 aren't terribly hard to find nor are they very expensive. This reprint series was rumored to be re-released as a full-color collected edition, but has been postponed indefinitely as of October 2015. "The 1st Issue Special #9 contribution is, as far as I'm concerned, definitive in the absolute. Walt drew this one story (and leave us not forget a pretty darn cool story from Martin Pasko) and it's influenced damn near every iteration of the character in some way or another ever since, I even see it in DC's newest Doctor Fate book. (BTW, I own that story in very single form that it's very been presented in - and if you ever get the chance, check it out in the Manhunter Artist's Edition)." I recognize that Simonson cover -- I had this reprint in collection right up until my last purge. Now I wish I'd kept it! Like you, I've always been attracted to the concept and character design of Dr. Fate, but struggled to find a good jumping-on point as a reader. Every convention season I think about picking up a (discounted) volume of Fate's Golden Age adventures, which from what I've seen, are truly bizarre (even for the Golden Age). Maybe next year!